From the very beginning, this promised to be a great pattern testing! 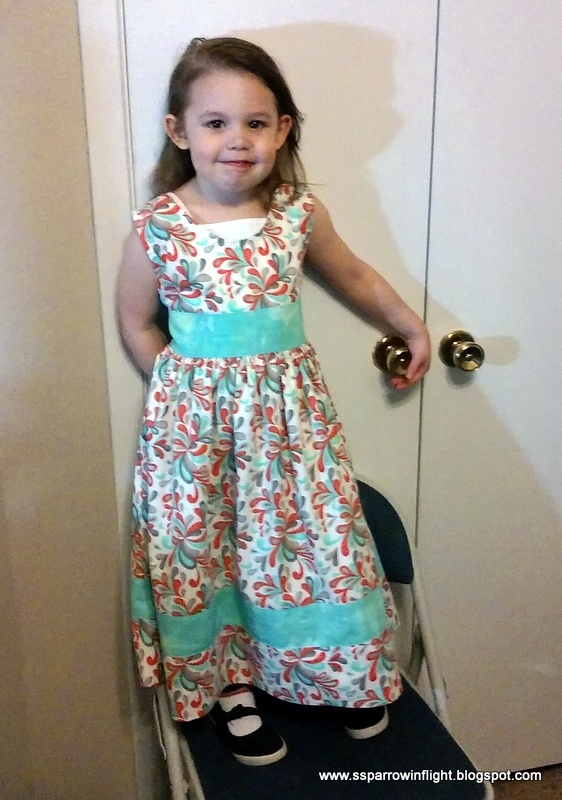 I have done alot of pattern testing over the years, but my favorite is always Scientific Seamstress/Sisboom by far! I own a great deal of their established patterns in Women's, Girl's, Boy's and even their Men's patterns--that is how much I love this designer! One of the things you should know from the very start is that the Scientific Seamstress company is serious about pattern testing! They don't just pattern test to get people to make fancy dresses for the launch of the pattern. They do rigorous testing; one women's pattern tested for several months and I went through 4 muslins for the one month I tested alone! I love the group process of testing in that you ask questions, you point out issues, and you take pictures to share what works and what doesn't! When I started this process, my daughter ended up being on the very edge of the 6/beginning of the size 7 girls. I decided to make the size 7 knowing she would be going through a growth spurt (I think I hear her legs creaking longer as I type even)! Ironically, her current growth spurt leaned out her torsal about 1/2" in just a few weeks which made the first tester dress above swim on her without a sash. She dropped down into the Size 6 realm but no fear I know she will return to this size 7 before long! I simply LOVE the full double-skirt of options 2 & 3 on the pattern. The way it swishes around her was simply a delight for her! When you add the sash from Options 1 & 2, you can fudge a little on the sizes because you gather in the fabric. The picture above is the Option 1 with one Skirt (with decorative band added for fun) and a wonderful sash! The best part about the sash is the Big bow you can make in the back. 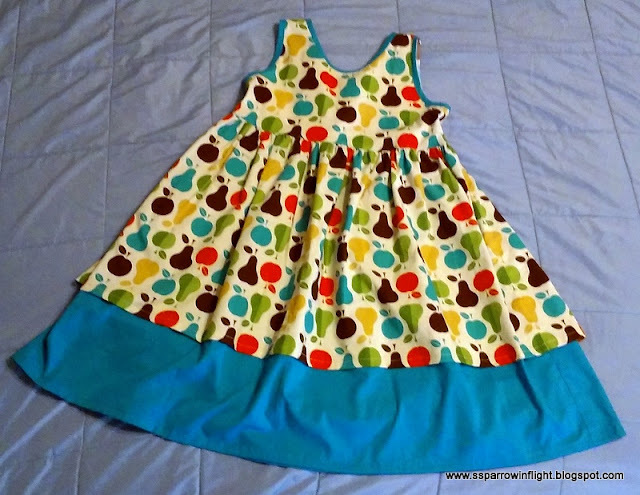 I sincerely love this pattern and I am already working on 2 more dresses for my daughter and two more in larger sizes for the daughters of my friends (This pattern goes all the way up to size 14 girls!)! I would highly recommend this pattern and I don't say that lightly, I have not always recommended patterns that I have tested. You can find the pattern HERE! If you are going to sew up the Sally or any of the other Sisboom or Scientific Seamstress patterns, also check out the Scientific Seamstress lab which is a fantastic group for working through any questions! Very cute. Miss Z is getting so big!!!! Oh my. As my grandmother used to say, "We need to put a brick on her head" to slow her down. Wonderful!!!!! 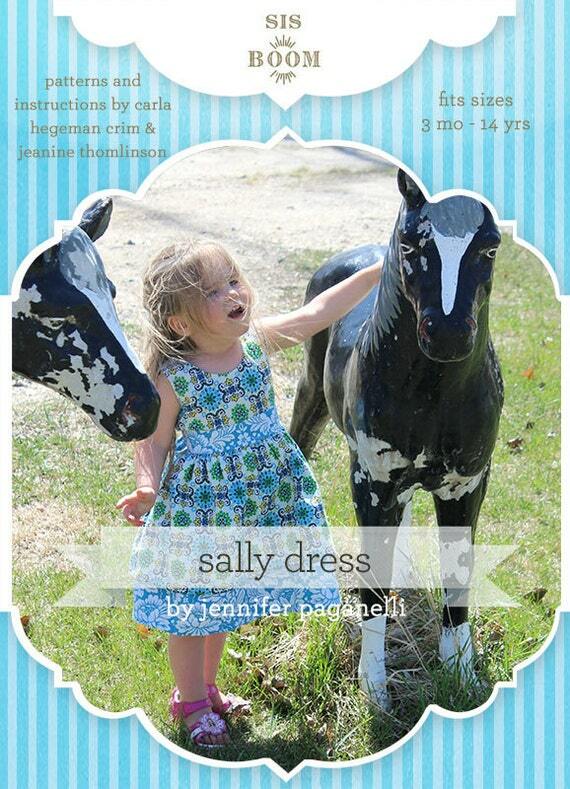 Love the review on the actual pattern testing process too!